Did you know Salsa came from New York? That the Kingsmen's "Louie Louie" is a cha cha cha? How did rap meet reggae to make Reggaeton? In honor of Hispanic Heritage Month, PBS will premiere Latin Music USA, a four-hour documentary series celebrating the Latin rhythms at the heart of jazz, rock, country and rhythm and blues and highlighting the great American music created by Latinos. Revealing the Latin sounds that have influenced the music of great American artists from the Drifters to the Isley Brothers to Santana, the documentary aims to reach lovers of music everywhere, along with fans of American history and everyone who loves to dance. Airing in primetime on Mondays, October 12 and 19, 9:00-11:00 p.m. ET on PBS, the documentary series is narrated by acclaimed Golden Globe and Emmy-award winning actor Jimmy Smits and features the stories of Latino artists Celia Cruz, Carlos Santana, the Fania All-Stars, Shakira, Gloria Estefan and Ricky Martin, along with exclusive interviews and never-before-seen footage. 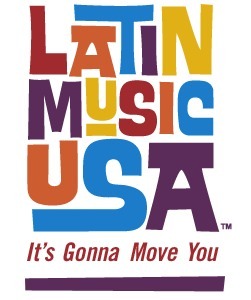 Read more about Latin Music USA on the PBS press release. Click here for more HispanicNashville.com stories about country music.